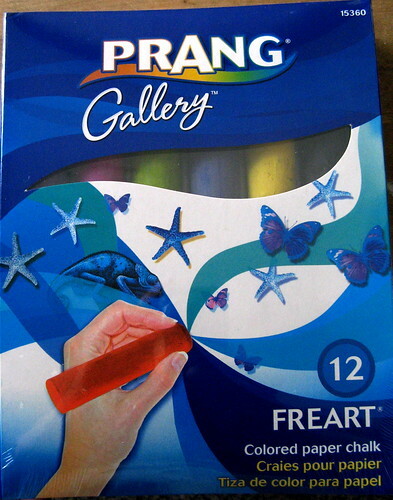 One box of Prang Gallery Paper Chalk containing 12 sticks of chalking freedom! You’ve seen them in the store, but were too afraid the other chalkies might make fun. No bother! Take hold of your new Tri-Writer! Your new Flip-Grip! Your new Wide Writer! Your new Blender brush! 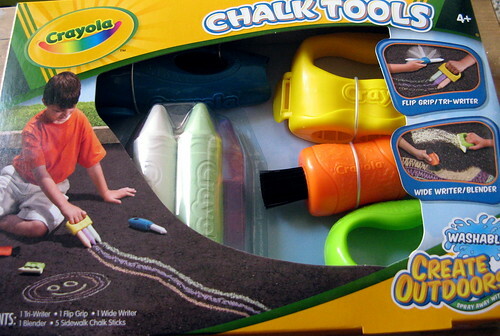 It even comes with 5 sticks of back-up chalk! You, my chalktastic pal, are covered! MORE FREAKING CHALK! How do those chalking fools make such huge pieces? With huge amounts of freaking chalk! 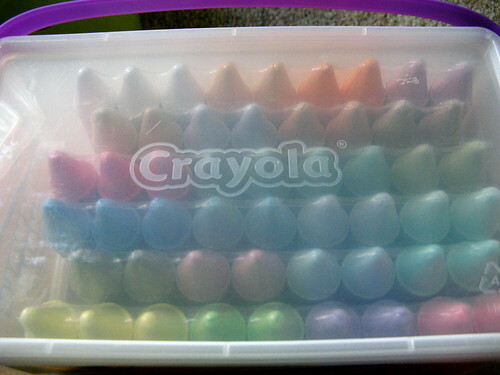 52 sticks of Crayola non-toxic chalk art makers! 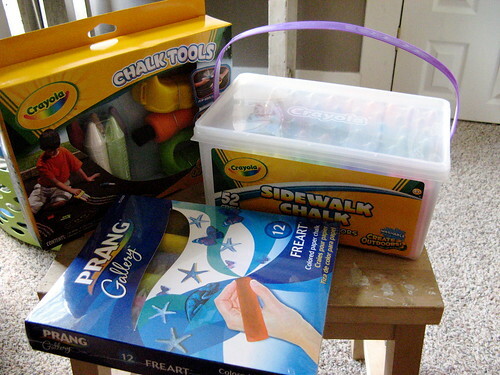 These prizes are intended for the LAST PLACE artist is this week’s chalk-off. If anyone throws the contest, I will meet with my board (League of the Little Guy) to determine eligibility. In the event of a tie, I will…think of something…like…breaking up the prizes, or…something. Don’t you worry your little chalking hearts out!